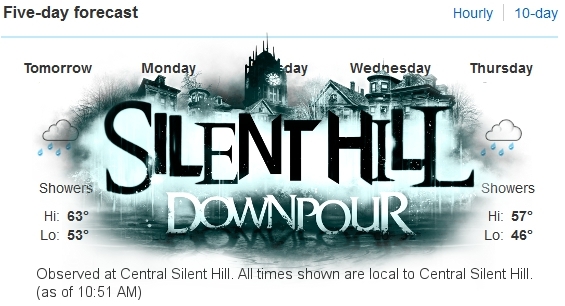 Silent Hill: Downpour has been delayed. What many of us had feared is now true. But is it really such a terrible thing? The most recent Silent Hill games have also had rocky releases: no solid date for months and then a quiet launch. Is this the case yet again, or should we all relax and let the change in forecast comfort us? 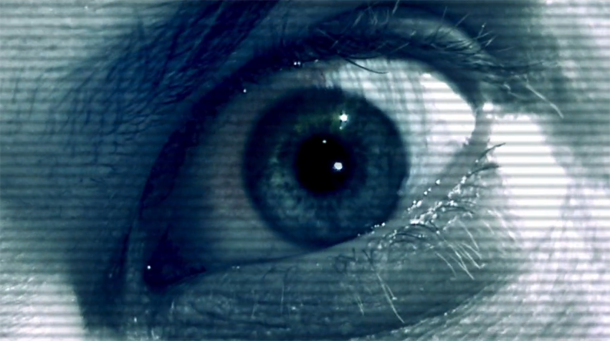 Downpour was given both a Fall and Winter release time frame. October was mentioned on numerous occasions by members of Konami and development team. Fans speculated that October 25th would be the day that Downpour would release because of product listings on Amazon, Gamestop and Best Buy. It quickly became October, and Konami officially announced that the game was delayed into Q1 2012. A firm date was never announced, but now it seems we are even further from one. Is this a bad thing, though? I don’t think so. Looking at Silent Hill: Homecoming, we were given a buggy, and perhaps rushed game. Tech wise, the game had many flaws that made it a hassle to play. I myself play with an inverted Y-axis. Call me weird, but I am the 1%. ( I do not have real stats) Being part of a gaming minority made Silent Hill: Homecoming a frustrating experience. For some odd reason, inverted shooting controls were left out while inverted camera controls made it in. If this wasn’t a sign of rushed development, I don’t know what is. Let’s not forget the bug toward the end of the game that caused the game to crash. Homecoming just felt unpolished and hastily constructed. Silent Hill: Shattered Memories had its flaws, but it turned out to be a much more polished product. It seemed to have had more time to develop, which in turn, made it a blast to play. I’ve heard mentions of a save data bug, but have never run into it myself. Shattered Memories may not be “canon” or even in the same universe as the other games, but it was a fun game that made me buy a Wii. Like any game, I would have had suggestions for it, but it was a well made game and I enjoyed it. 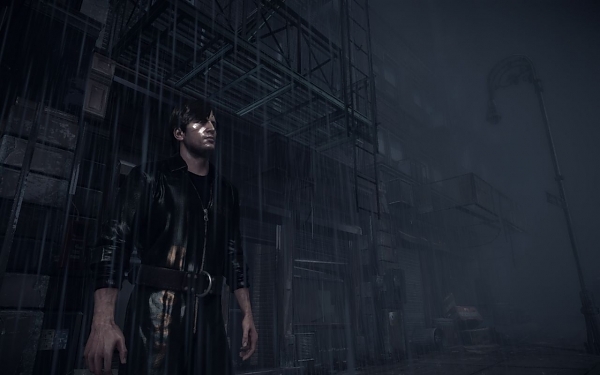 Silent Hill: Downpour has been in development for about two years, perhaps more. With the delay, many fans are freaking out with worries that the game is not finished, it will be dead on arrival, or that it will be canceled. Now, I do not want yet another release date fiasco as with Shattered Memories. We didn’t have a firm release date on that game up until a few weeks prior to launch and that was a huge annoyance. I remember being unsure if the game would even be in stores, because of so many dates being plastered on the internet by fans speculating. I’m hoping that this delay is the one and only. The broad “Q1 2012” release window is much better than being given a date and then having the game delayed yet again. So, I’m fine with what we’ve been told. As for how far that is from now–Q1 of 2012 is January-March; That’s not too far. One complaint I had about Downpour’s Fall release was the amount of games it would have to compete with. October and November will see several popular games hit the market. Silent Hill may be my favorite series, but it’s not a number one buy on everyone’s wish list. There’s Batman: Arkham City, Battlefield 3, Call of Duty: Modern Warfare 3, Uncharted 3, and Skyrim to compete with. Alan Wake’s release was destroyed by just Red Dead Redemption. Imagine Downpour up against all of these games. It wouldn’t be pretty. As a fan of the series that would like to see it continue, I didn’t want to see the game release during such a hectic time frame. Too many games will release, and it would probably go ignored by many. This would hurt the series chances of continuing past Book of Memories. Silent Hill is a product meant to sell. If it had been released next to all of these other games, the potential sales would be hurt, and the likelihood of the series continuing would decrease. Hey, I know some people want that, but I don’t. Personally, if I don’t agree with a new game in a series I just ignore it. A new game can’t hurt what I already own and enjoy. I think this delay is good for Downpour. Polish and care can make the game—which I already had a chance to enjoy—even better. How is that a bad thing? Let Vatra get in there, tweak some things so we, the players, have a more enjoyable experience come release.